Are you thinking about installing a new fence on your property? It might be the finishing touch on the building of your new home, or you may be wanting to upgrade your old fence to a brand new one. Whatever your situation, choosing the right fencing for your home can be a little confusing or overwhelming. Luckily, we’re here to help out with this complete guide to fencing! Read on for everything you need to know about selecting the right fence for your property. Before you launch directly into the fence-building process, there are several things you should take a moment to consider. Proper planning will ensure that you don’t risk ending up with a fence that doesn’t suit your needs or budget. The first thing you need to consider when choosing a fence is why you’re actually building one. What are your primary reasons or goals for building a fence on your property? Do you need a fence for privacy and security? If so, you’ll need a style that is sturdy and/or high enough to adequately screen off the areas you wish to keep private. If you need to keep pets and/or children enclosed in a safe space, you’ll need to factor this into your considerations as well, choosing the right types of gates and access points for your fence. 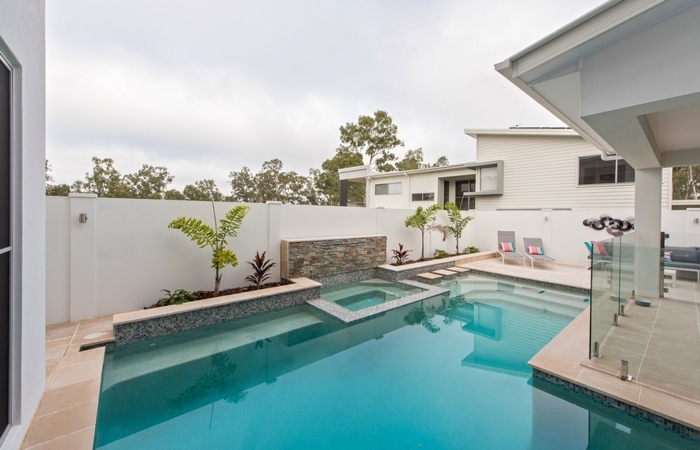 You might not need to surround your entire property – instead, you may wish to fence off a certain area, such as a pool. If so, you’ll need to ensure that your fence follows your state government’s laws and regulations for pool fencing. Writing down a checklist of all the requirements you want your fence to meet can really help out when it comes to the next stages in the fencing process. The type of land you are fencing will have an effect on the kind of fence you choose. A flat surface, for example, is more straightforward than a sloped backyard when it comes to fencing. A sloped surface may need additional considerations, such as a retaining wall. If the terrain of the area you wish to fence is particularly difficult to navigate, you may either need to reconsider the exact location of the fence, or consult with an expert on how best to manage the tricky area. Be aware that you may also need to check your local council rules, regulations and requirements for fencing. There may be style, height or boundary restrictions in place that you didn’t previously know about. Don’t start building until you’ve checked that your plans are within these guidelines and until you’ve spoken with your neighbour, if it’s a shared dividing fence. The time factor is another important consideration. When do you want your fence to be fully installed? Do you have a time limit or deadline to impose? Or can you afford to wait a little longer for a more time-consuming installation? Some types of fences take much longer to install than others. For this reason, your proposed time period for the fencing process will have an effect on the type of fence you choose, as well as your choice of installation method (more on this below). Fencing costs are, of course, one of the most important factors when it comes to choosing the right solution for your home. Most people have an upper budget limit they need to impose on the installation of a new fence. Some fencing materials are significantly more expensive than others, and some installation methods cost more, too. Working out a budget and deciding on the highest amount you want to spend is essential so that you don’t end up with financial worries. 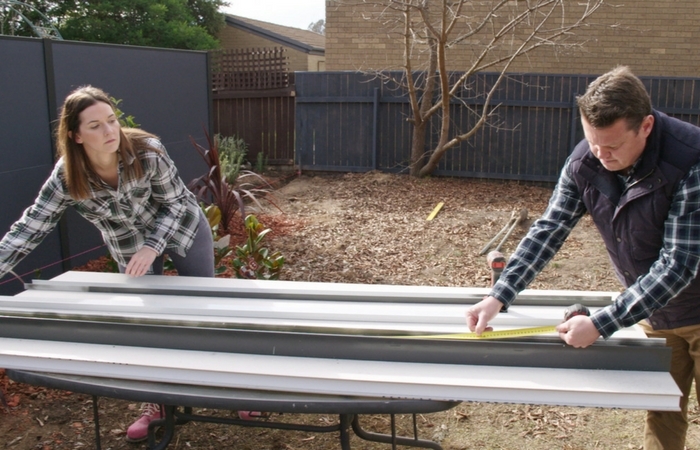 If your budget is a little lower, perhaps consider which fencing materials are cheaper, or which installation methods are less labour-intensive (and therefore less expensive). Once you’ve thought about all of the above considerations, it’s worth putting some thought into the installation method for your new fence. When you’re choosing a fence type, you must also consider how it is going to be installed. You basically have two options here: the DIY option, where you install the fence yourself, or the professional installation option, where you hire someone to do it for you. Your decision will come down to a few factors: the type of fence you’re choosing, the budget you have allocated, and your own building skills and knowledge. If you have never done any building before, aren’t confident that you’ll be able to install the fence yourself, or simply don’t have the time, it’s best to hire a professional to do the job. However, if you do have enough time and know-how, you may wish to complete some of the fencing process yourself to save some money. For every type of fence, there are both advantages and drawbacks. Here are some of the most common things you’ll need to consider. Some fencing materials are better at providing soundproofing than others. If you’re building a fence mainly for privacy, this is an important advantage to keep in mind when selecting your fence. For optimal acoustic fencing, you’d want to lean more towards modular walls or solid materials such as brick, which tend to be better at absorbing sound. As discussed above, your fence material and style will depend on the land it’s being built on. 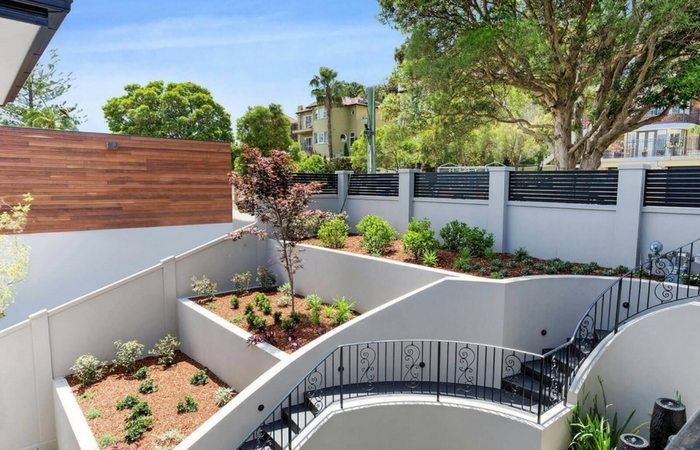 If there is a slope, some sort of retaining wall will likely be required in order to make the most of your outdoor space and prevent issues such as sliding soil. If this is the case with your backyard, you will want to choose a fencing style that has retention capabilities. Ideally, your chosen fence will also blend in with the style of your boundary fencing; brick or modular walls are good options here. Some fencing materials may look great, but might not have the long lifespan you’re after. This might also mean that they require more maintenance and upkeep on your part – and if you’re after a one-time fencing solution, that’s exactly what you don’t want! When considering the different types of fences available (more on that below), you should keep their longevity in mind. Will your chosen material withstand all types of weather and last years without maintenance? Or will it possibly need regular upkeep – and are you willing to carry this out yourself? These are all important questions you should ask when considering the advantages and drawbacks of particular fence types. As we mentioned briefly above, the appearance of your fence may or may not be important to you. Some fences are very aesthetically impressive, and others are more plain; remember that a fence has the potential to increase the resell value of your property. Keeping its appearance and aesthetic value in mind may serve you well in the future. It’s time to take the next step and look at the different types of fences available! There are countless designs and models depending on your requirements, so choosing the right fencing involved comparing these common fence materials. There’s a lot to consider when it comes to finding a fencing solution that suits your needs, but keeping all of the above in mind will make things a whole lot easier! For more information about ModularWalls products, get in touch with their in-house team on 1300 556 957, or simply enquire below.